Newcastle slacker rock trio Slurs are the first band to release material on new DIY label The Kids Hate You. Badmouth is the band’s second EP, and will be released on limited edition cassette accompanied by a free drawstring bag, badge and eight-page art booklet. Slurs’ sound is full of overdriven joy, capped with a sludgy post-punk edge and charming indie pop brilliance. The recent addition of Bong drummer Mike Smith has provided some real oomph to the band’s recorded material, best demonstrated on Offshore’s down-tempo dirge, enlivened by frantic cymbal assaults. EP highlight Ordinary Man switches things up somewhat, with Fintan Dawson’s jangling guitar underpinned by quick as lightening lyrics and a chorus that’s as catchy as hell. Red Lines’ Britpop-esque indie is beefed up by a fast-paced melody; Terra Firma’s shouted harmonies and cacophonous ringing cymbals are delightfully angry; while Read’s grungy guitar lines usher in a brooding vocal from Mark Simpson which dwells on themes of propaganda and questioning authority. Interpreting political themes and current affairs in a North East context, it’s clear that Slurs have something to say. 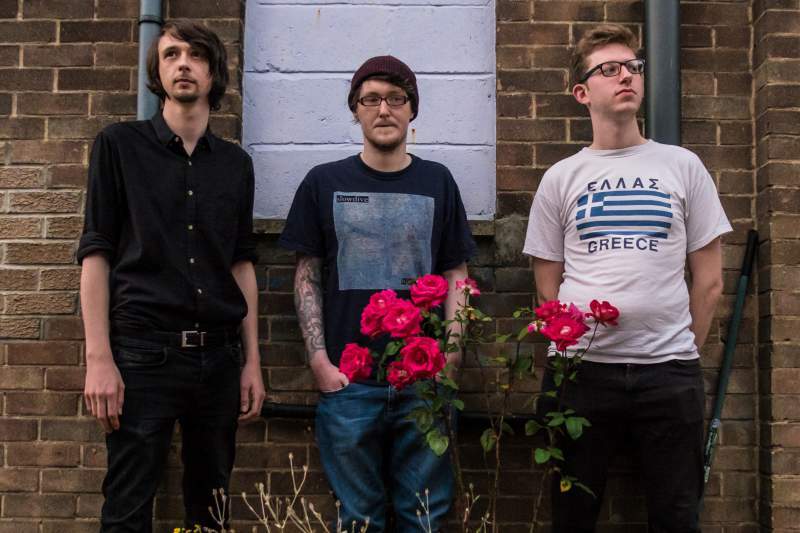 The band celebrate the launch of the EP with a gig at Northumberland Arms in Newcastle on Saturday 15th October, with support from electro rock duo Massa Confusa, Carlisle’s energetic punks Asian Babes and surfy doom courtesy of Cheap Lunch.